With the increasing awareness on hygiene and safety of the product every consumer would like to opt for packaging medium which would offer safety, reliability and aesthetics while being consumed at home and all these qualities would undoubtedly is offered by tin cans. 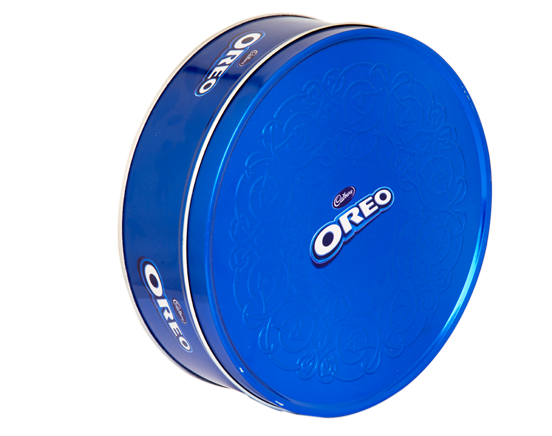 With the increasing purchasing power of the consumer cookie cans act as an ext remely at t ract ive secondary packaging to the pouch or even direct packaging of cakes, cookies & chocolates etc. to enhance the value of the product by giving it a premium look. With the thrust of FMCG's to create differentiation in the market cookie can becomes a natural choice. It not only provides better aesthetics but also convenience to open and close. No need for the housewives to buy additional jars and the most important environment friendly and recyclable. Cookie can are used for Cakes, Cookies, Chocolates and can be used at home to keep the product fresh for the longer duration. it also used for gift items.